For all of the eccentric and eclectic Porsche collectors and enthusiasts out there, we've decided that it is about time someone aggregated the best of the best that eBay has to offer in the Porsches-for-sale department. 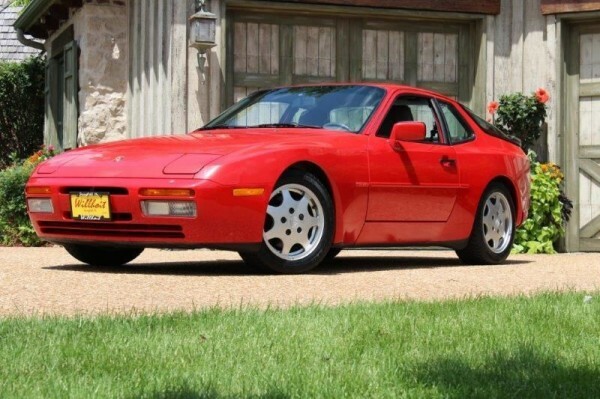 We've tracked down five exciting Porsches for folks to purchase today, including a collector 944 (is that an oxymoron? ), an SC racer, a low-mile up-and-comer, an extremely rare open-top long-hood, and a GT Cruiser with a stick shift. Some of these cars could be great collection investments, while others might prove to do more financial harm than good. I've got a soft spot for 944s, especially since I had one as my first Porsche. As an introduction to a brand, you could do a lot worse than a 944. This one, however, is maybe reserved for a special kind of Porsche enthusiast. This car is specifically for the Porsche nut that just has to have everything spot on perfect. This is a low mileage 944 S2, perhaps the best one left in the world. From the photos, it certainly looks like it just rolled off the assembly line a month ago or so. It's a car that deserves both to be driven, and to be handled with utmost care. It's got all the trappings of a fantastic sports car, too. That 3 liter twin-cam four cylinder is simply sublime, and produces a pretty reliable 200 horsepower. Add in the 16" wheels, the rear-mounted transaxle with perfect notchy shift feel, and eighties-tastic flip-up headlights, and you've got a real stunner. You'll instantly fall in love with Porsche's watercooled transaxle poster child as soon as you slip behind the wheel of this one. Sure the Turbo has more power, but the S2 is about as close to perfect as you can get if you prefer naturally aspirated driving. Sure, it's on the expensive side of the market, but when are you going to see a 944 with only 6,665 miles on the odometer? Rarely is there a less expensive way to get into amateur motorsport action than to purchase an already completed race car. This still rings true in the case of this wide-body 911. The engine isn't together, but it's got a lot of really solid performance parts, including JE Pistons and PMO Throttle Bodies. 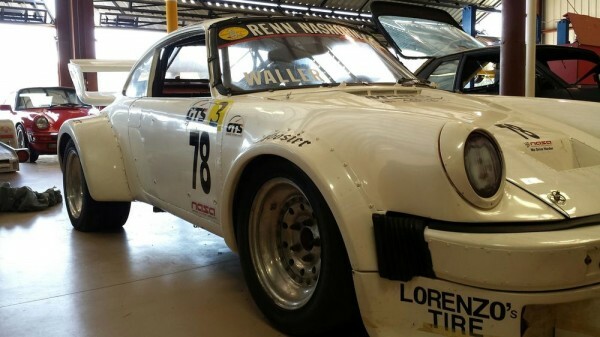 The 934-esque flares and big-ole-wing make it look the part, too. It looks to have been built with ultimate fun in mind, rather than limited budget. Unfortunately the owner has passed away, so a lot of the car's history is gone with him, but it is easy to tell that this car is a winner in the making. Whether for driver education or out-and-out wheel to wheel racing, this car is sure to provide many years of budget crippling fun. Get it while the getting is good. 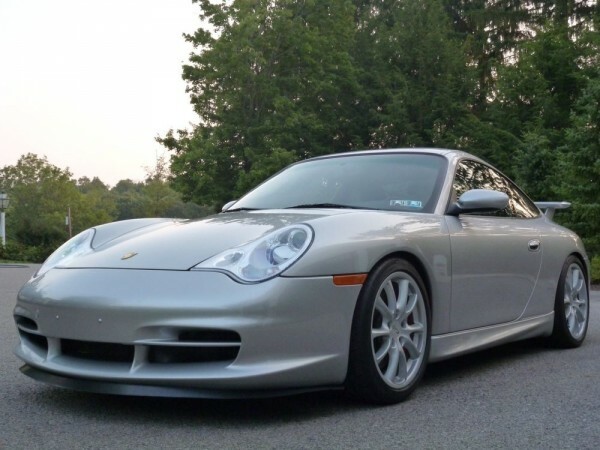 I've been following the 996 GT3 market for a little while, and it seems to me that cars like this are going to be harder and harder to find. It's a low-mile car that has supposedly never seen the track. It remains stock, and looks absolutely minty. This is the kind of car that isn't far from going up over the 100K mark sometime soon. With a 70-grand buy-it-now price, this GT3 is pricier than any of these cars were about 3 years ago, but they are rebounding hard! A similar car with slightly fewer miles and slightly more options sold with a listed price more than 10 grand over the asking price of this one. The 996 GT3 is, in my humble opinion, one of the best driving Porsche road-cars ever built. The absolutely perfect Mezger-derived high-revving flat six is one of my favorite engines, and it's mated to a chassis that can literally do no wrong. Sure, the newest GT3s offer a faster driving experience, and are significantly more comfortable car to drive. They might be the subjectively better driving cars, but the first Porsche GT3 offers something that you just can't get anymore. It's rough, it's harsh, and it takes courage to drive quickly, but when you wring the most out of the car (and yourself), you feel like you've accomplished something. The 996 GT3 just connects you to the road in a way that no other car can. 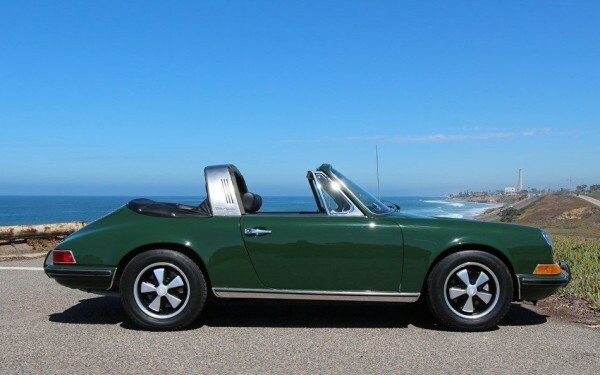 In the last installation of our Ebay picks, we selected an uber-rare 1967 911S soft-window-targa. This week, we're upping the rarity quotient with a long-wheelbase version of that same car, a 1969. That 1967 car was one of 167, which is pretty rare. According to the seller (and I can't find anything that would indicate otherwise), this 1969 911S 'SWT' is one-of-six in the world (a total of 9 were built for 1969). Unlike the 1967 we featured last time, this 911S is a true two-seater. In 1968, roll-over regulations required Porsche to remove the rear seats in all soft-window equipped cars, and the hard-back glass rear window was created, replacing the soft-window as the standard. For 1968, targa production shifted toward the glass rear window, and by 1969, almost all cars were equipped this way. The only way to get a soft-window car in 1969 was to special order your car that way. By some accounts, there were 144 911Ts, 12 911Es, 9 911S', and about 20 912s equipped with a soft-window for the 1969 model year. If you're looking for long-wheelbase handling dynamics, plus an extremely rare soft-window for top-out wind-in-your-hair fun driving, look no further. 5. 1993 Porsche 928 GTS with a stick. Those who know me will likely have heard me deride the 928 as being a terrible Porsche at least once. It's not necessarily that I hate the 928, it's just that I hate what the 928 has become. For most 928s, they have become devalued to the point where it would be a more financially sound decision to burn your house down than it is to perform any kind of preventative maintenance on a 928. The truth is, that's more a reflection on the car's residual value, and less an account on the car itself. When you get down to it, the 928 was always a really cool car. For example, in 1984 when the C4 generation Corvette was introduced, it produced a mere 205 horsepower, and by contrast, the 928S tacked a full 100 horsepower on top of that! Don't forget that Chevy's V8 sports mobile needed 5.7 liters to produce that, while Porsche's 928 handily trounced that with only 4.6 liters. The fact was, in the world of Porsche, the 928 wasn't really a sports car, it was more of a GT kind of touring car. It was great at eating up miles and miles of open highway, and while it wasn't a slouch in the curvy stuff, it certainly didn't provide the same visceral dynamic driving experience that the 911 did at the time. It was because of this 'comfy-cruiser' dynamic that most 928s were sold with Mercedes-Benz sourced automatic transmissions, rather than the stellar Getrag "G28" manual transaxle that was optional. 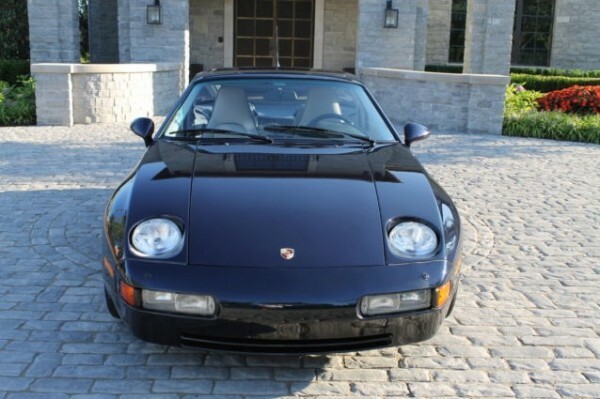 The GTS was the ultimate iteration of the 928, and it remains the only one to maintain any kind of residual value. The GTS was a run-out-the-clock model for the 928, trying to get as many sales as it could from a rapidly aging chassis. In total, between 1992 and 1995, Porsche only managed to move 2,831 928 GTS cars, and finding one with a stick is more difficult still. The good ones like this are getting harder and harder to find, so if you're looking for one, you should probably get it before they're all squirreled away in collections somewhere.